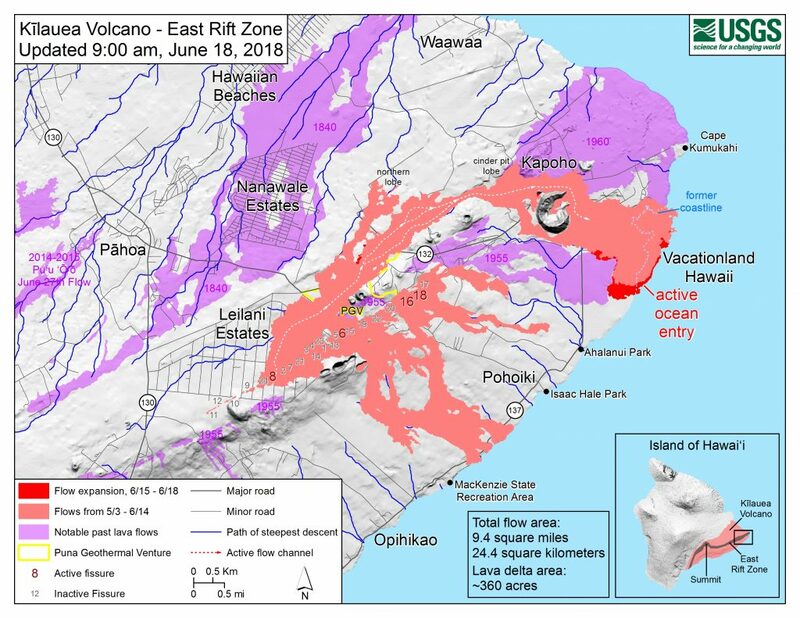 The U.S. Geological Survey’s Hawaiian Volcano Observatory observations and measurements of the Pu‘u ‘Ō‘ō eruption on Kīlauea Volcano’s East Rift Zone during the past month suggest that the magma system beneath Pu‘u ‘Ō‘ō has become increasingly pressurized. If this activity continues, a new vent could form at any time, either on the Pu‘u ‘Ō‘ō cone or along adjacent areas of the East Rift Zone. The Pu‘u ‘Ō‘ō eruption continues to supply lava to the 61g flow and the lava pond within the Pu‘u ‘Ō‘ō crater. VIDEO: Paradise Helicopters overflight, April 12, 2018. 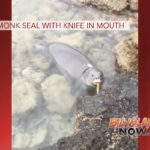 As of April 13, 2018, geologists observed scattered breakouts from the 61g flow within about 1.4 miles from Pu‘u ‘Ō‘ō and a sluggish breakout about 3.1 miles from Pu‘u ‘Ō‘ō. During the past few weeks, lava flows have also erupted onto the Pu‘u ‘Ō‘ō crater floor. Since mid-March 2018, a tiltmeter and GPS station on Pu‘u ‘Ō‘ō have recorded a pronounced inflationary trend of the cone, and recent webcam images have detected simultaneous uplift of the Pu‘u ‘Ō‘ō crater floor by several yards. These observations provide evidence that magma is accumulating at shallow depths beneath Pu‘u ‘Ō‘ō. Similar episodes of inflation and uplift of the crater floor at Pu‘u ‘Ō‘ō occurred in May and June 2014 and May 2016. These episodes preceded the opening of new vents on Pu‘u ‘Ō‘ō that produced the June 27 flow (active 2014 to 2016) and the 61g flow (active since 2016), respectively. 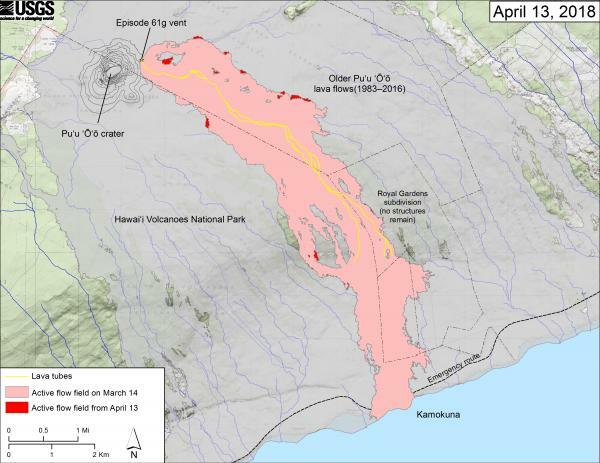 Breakouts from the 61g lava flow are located close to Pu‘u ‘Ō‘ō and above the Pulama Pali within the Kahaualeʻa Natural Area Reserve (NAR) and Hawai‘i Volcanoes National Park, respectively. 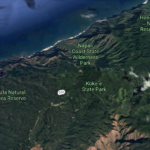 Because of volcanic hazards, the Hawai‘i Department of Land and Natural Resources has restricted public access to the Kahauale‘a Natural Area Reserve since 2007. 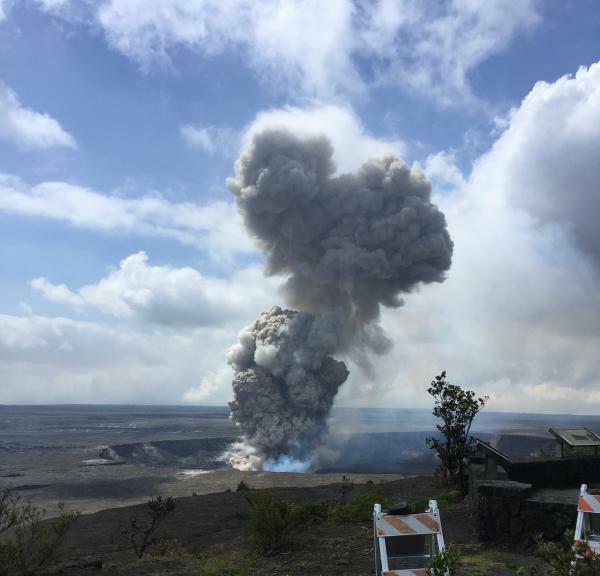 Areas within Hawai‘i Volcanoes National Park are also closed. A new vent located on the cone of Pu‘u ‘Ō‘ō would erupt lava flows onto one or more sides of the cone that would initially advance downslope rapidly within a few miles from the vent. Because of the potential for a sudden breakout anywhere on Pu‘u ‘Ō‘ō, the cone is extremely hazardous. 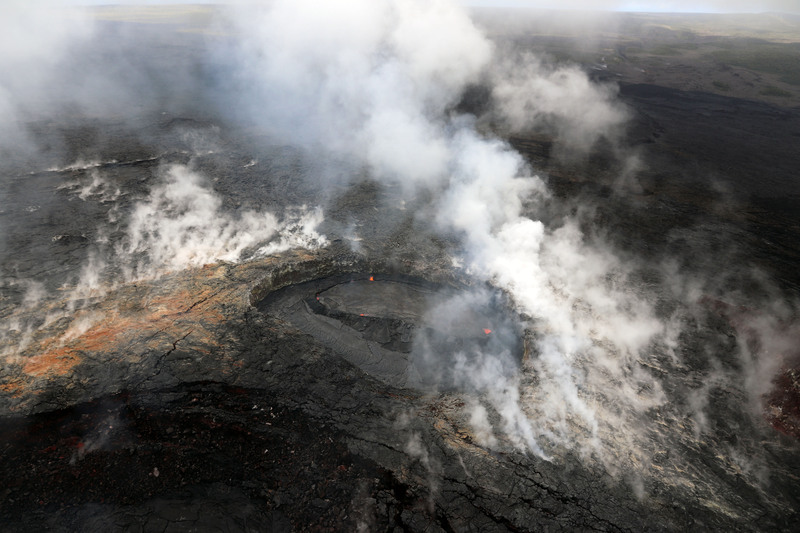 The location of a new vent or potential lava-flow paths cannot be estimated until such time that a new vent forms and stabilizes. Lava fountain erupts from the growing Pu‘u ‘Ō‘ō vent during eruptive episode 8, five months after the eruption began; Kīlauea Volcano, Hawai‘i. 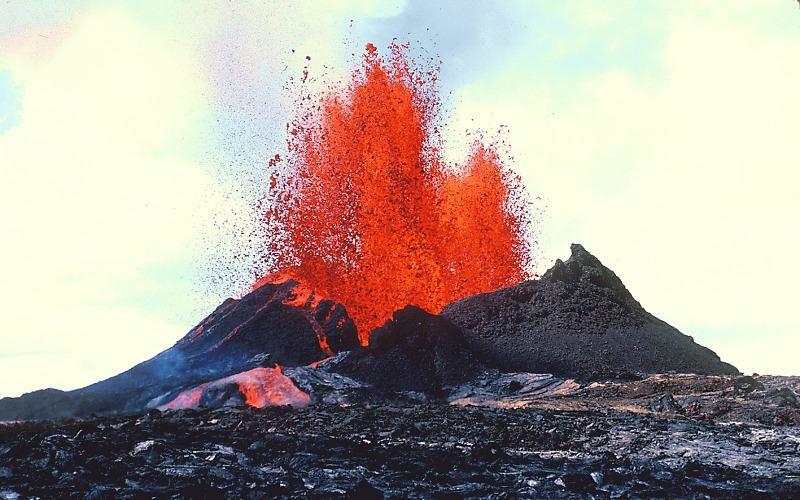 Kīlauea Volcano’s East Rift Zone eruption began in January 1983 with high lava fountains that built a cinder-and-spatter cone, later named Pu‘u ‘Ō‘ō. Subsequent activity included continuous lava effusion from vents on Pu‘u ‘Ō‘ō or within a few miles east or west of Pu‘u ‘Ō‘ō. Most of the lava flows erupted from these vents have advanced down the south flank of Kīlauea, often reaching the ocean. VIDEO: Through historical photos of past Halema‘uma‘u eruptions and stunning 4K imagery of the current eruption, this 24-minute program tells the story of Kīlauea Volcano’s summit lava lake. The video briefly recounts the eruptive history of Halema‘uma‘u and describes the formation and continued growth of the current summit vent and lava lake. 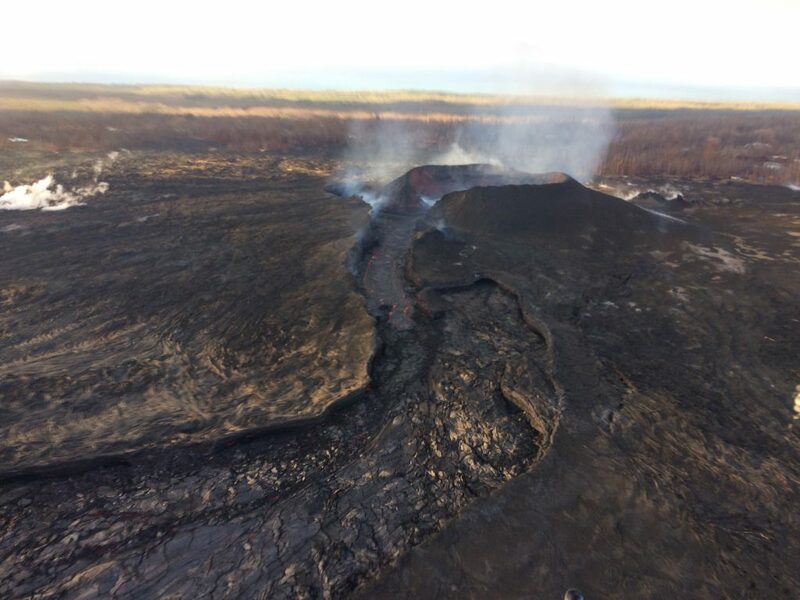 A new vent that opened on the northeast flank of Puʻu ʻŌʻō on June 27, 2014, sent a lava flow (informally called the June 27 flow) 20 km (12.4 miles) to the northeast and into Pāhoa, a town in the Puna District of the Island of Hawai‘i. This lava flow persisted until early March 2015, when all activity near Pāhoa ceased. On May 24, 2016, the opening of a new vent on the east flank of Puʻu ʻŌʻō led to the demise of the June 27 vent and flow, and sent a new lava flow (61g flow) south-southeast toward the ocean. The flow advanced about 10 km (6.2 miles), reaching the ocean on July 26, 2016. Lava stopped flowing into the ocean in early November 2017, after which surface flows have progressively retreated to near-vent areas above the Pulama Pali. Daily updates on all volcanic activity at Kīlauea are issued each morning and posted here. Sign up to receive these messages automatically here. Email askHVO@usgs.gov for more information.